The Engineers Joint Contract Documents Committee has released a new edition of its design-build family of documents. “It became apparent that the design-build delivery system was becoming more and more of a choice for delivery of construction projects, no matter what kind,” says EJCDC Design-Build Chairman William Beery, P.E., F.NSPE. Last updated in 2009, the design-build family of documents has undergone a substantial overhaul. The 2016 edition includes nine all-new documents and six existing documents that were moderately to extensively revised, as well as EJCDC’s 2015 teaming agreement D-580. 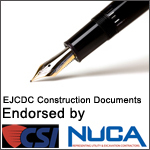 “When the EJCDC design-build set of documents was first prepared back in the 1990s, there were very few states that allowed design-build as the delivery method for public construction,” says EJCDC Legal Counsel Hugh Anderson. 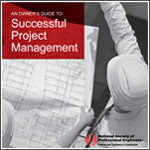 However, that has changed over the course of the last 25 years, and as of 2016, there are only three states where use of the design-build delivery method for public construction projects is strongly restricted, according to the Design-Build Institute of America. In the remainder of states it’s a widely permitted option. NSPE members receive a 50% discount on all of the documents, which can be purchased at www.nspe.org/ejcdc. ANALYSIS BY RSMEANS MARKET INTELLIGENCE A DIV. OF REED CONSTRUCTION. COURTESY OF DBIA.